“One day the Buddha was going to the city to beg for lunch. On the way, he passed a beach where a group of children were playing. They were building intricate sand castles that even had rooms for the king’s court and treasure house. The children were playing the roles of king, queen, and ministers. As the Buddha and his students approached, the little boy who was acting as the king saw them coming and was very happy. He picked up a handful of the sand which symbolized the royal treasure and ran toward the Buddha. When Ananda saw that the child was going to put sand in the Buddha’s begging bowl, he was ready to stop the boy, but the Buddha said, “Let me accept his offering. This is special.” The Buddha lowered his bowl, but the child could not reach it, so the boy called for one of his little ministers. The boy asked his friend to get down on all fours and then stood on his back to put the offering in Buddha’s begging bowl. 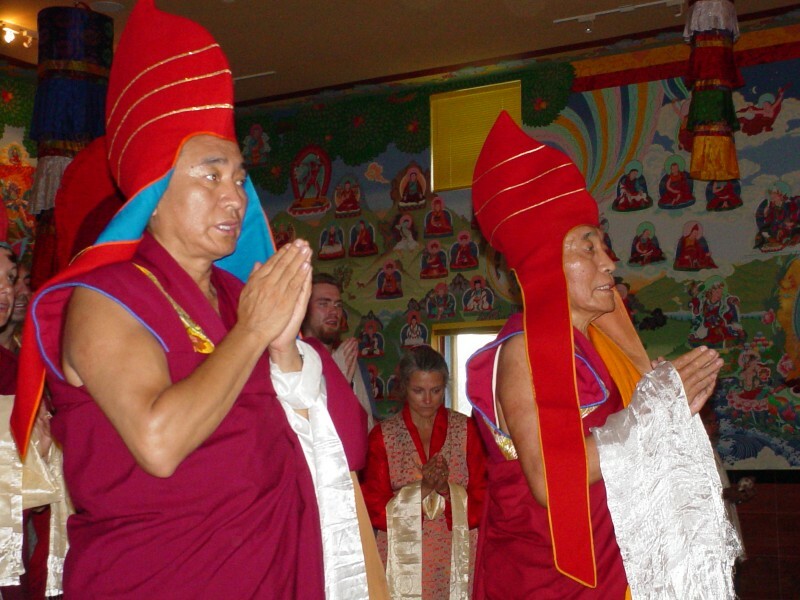 Photo of the Venerable Khenpo Rinpoches praying at Padma Samye Ling in 2004.